At Singaporeans Against Poverty, our focus is to raise awareness and encourage and facilitate ground-up action. 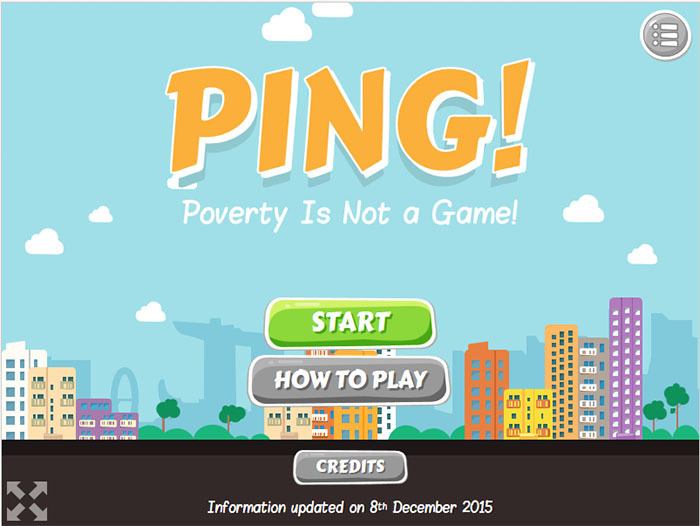 We made PING (Poverty Is Not a Game) to help Singaporeans understand the situation of the poor and the difficult choices they face. Many well-meaning donors still think that we can solve their problems just by giving them money or rice and canned food. But social workers tell a different story. Today’s poor face complex and interconnected problems ranging from income to nutrition, social isolation and mental health. We believe that such problems can only be solved if we step forward as a community to help each other, in partnership with the government and social service sector. Go also to http://sgagainstpoverty.org/faq/ to understand more.